TAMPA, Fla. -- The Tampa Bay area is the fastest growing metropolitan area in the state of Florida, however, it is not without its share of challenges. 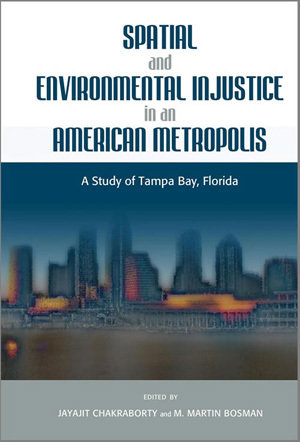 A new book written by University of South Florida professors explores racial and socioeconomic inequities associated with various undesirable land uses and pollution sources in Tampa Bay. Chakraborty and Bosman worked closely with faculty and graduate students in the Department of Geography, Environment and Planning to conduct research that examines environmental issues that affects different socioeconomic classes in Hillsborough County.